Almost 1 year ago, God called Bryson and I to leave our (very happy!) life in Athens to be a part of what He was doing in Atlanta through Passion City Church and the Passion Movement. While moving was chaotic, both Bryson and I have constantly felt the overwhelming peace that simply comes from being right where God wants you…even if it doesn’t make sense in wordly terms. That peace has made this transition to Atlanta so smooth. And while I often miss my friends, routine, life, church, and even my house in Athens, I am loving the life God is giving us here in Atlanta among the people and places He has led to for this season of our lives. It’s incredible and we are so grateful to be here!! 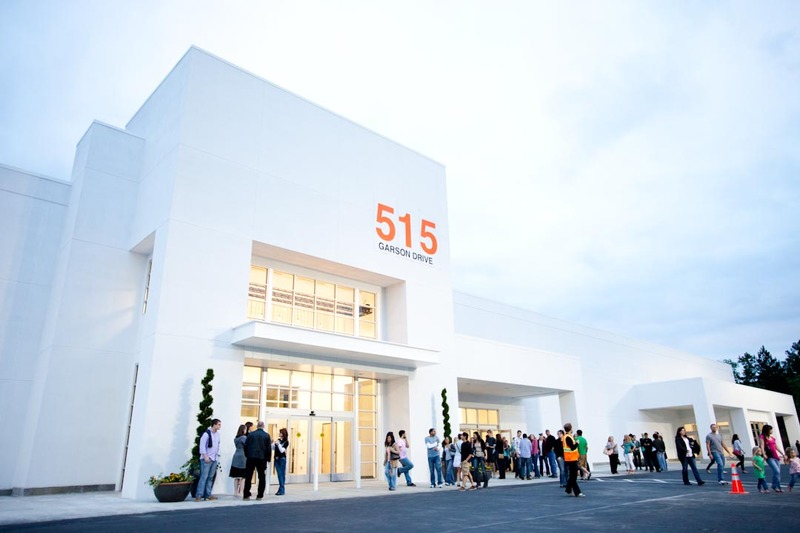 PCC has been meeting in venues around ATL for the past 2 years and this past Sunday our church opened the doors to our full-time facility that we lovingly call 515 because of the address, 515 Garson Drive (and it was 5/15/11 when we opened!). It’s never been about having a building for us, but having a place to call home, to use as a central hub to grow and serve, and place to invite friends. 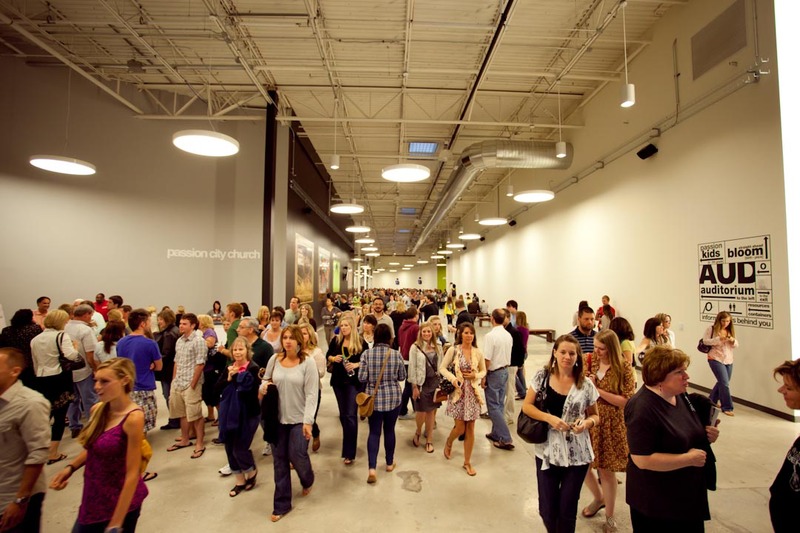 I can not wait to see our church expand in the days ahead as we raise the name of Jesus in the city! What an honor to join the movement of the unstoppable Church! Greater things are yet to come and my prayer is that we will move ahead with boldness all the while trusting and glorifying the Unshakable One! I was looking back over some blog posts our pastor, Louie had written to our church and I was really encouraged and challenged by this particular one, so I thought I would share! From the beginning, God has often divided His own into smaller crews (tribes, if you will), possibly as a way of underscoring the reality that He operates “not by might, not by power, but by my Spirit–says the Lord.” For sure, God has never been afraid of “small.” Rather, God often adjusts the circumstances so as to shrink the things/people we are confident in as way of setting the table for His miraculous display. If this sounds like the talk of a local church pastor of a little “tribe” (a term linked to God’s people long before it splashed on the scene in modern leadership vernacular), it is. And I am. And you know what, I love it. 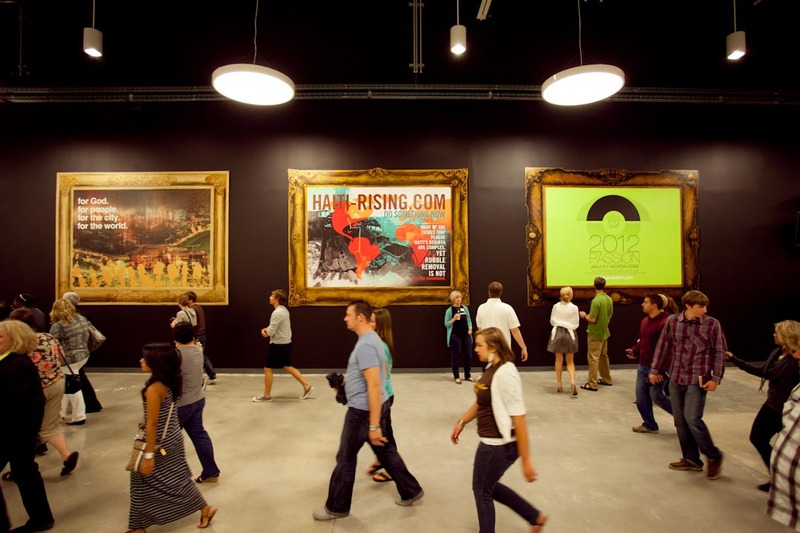 Passion City Church started with a bang and a lot of fanfare. Thousands packed our first gatherings and everyone we knew was saying we were the “can’t miss” church. From birth we were under a microscope of expectation. Most people were encouraging. A few were critical. But everyone seemed curious. After all, what does a global movement (albeit, a tiny one) look like when it tries to reverse-morph into a local community of faith? Fortunately, we didn’t buy the hype. Behind the scenes, our earliest days were marked with weakness and surrender. For one, we weren’t launching PCC with clever ideas and a surefire blueprint. We were simply moving in obedience to the voice of God, a process Shelley and I had been wrestling through for several years. We were confident in the big “C” Church, and sure of His call on our lives. Yet, we were also pretty sure we had no experience in planting a local church! During one of our earliest core group meetings, a night when uneasiness seemed greater than confidence, Chris brought a passage to us that God had challenged him with the Sunday before as he visited another fellowship in the area. I’m pretty sure there will never be a more powerful moment in the life of PCC than when he stood and read the words of Isaiah 28:16 to our team:Behold, I am the one who has laid as a foundation in Zion a stone, a tested stone, a precious cornerstone of a sure foundation: Whoever believes will not be in haste. Wow. Talk about a timely word from God. Long before the doors of PCC were open, this passage helped focus our hope on Jesus (the Stone of stones), and gave us permission to never be in a hurry. A little over a year and a half has now passed and our “herky-jerky, starting and stopping” journey has brought us to and through some amazing days! We knew from the word “go” that planting a church movement would be the hardest thing we’ve ever done (and given how much sweat and tears we have poured into the Passion Movement over the past fifteen years, that is saying a lot.) Yet, we were (and are) striving to embrace the slow, steady process that planting requires. Sure, multitudes have attended our gatherings, but in time the buzz always seems to fade…and when it does, a tribe appears. That’s what’s happening with us, especially as we take up the challenge of relocating to a new neighborhood and renovating an abandoned space as a base from which to grow and serve. As always, financial commitments have a way of defining and clarifying our intentions. Our stretch to trust God for the $7 million still needed to complete phase 1 of our project has certainly done both. After five weeks of praying and fasting, our little PCC tribe has responded, giving/pledging $1.6 million toward this goal. For the most part, this amount does not represent the giving of huge sums, rather, the offering of people of all ages and means who are reaching toward God’s Kingdom with sacrifice, hope and expectation. Watching our little core seek His face, wrestle with letting go of earthly stuff and embody the desire to be open-handed with all that is His is a humbling thing. We’ve said all along that this stage of our journey is NOT about a building. We believe these days are simply another way to get our eyes on Jesus, and another opportunity to let go of ourselves and our things, allowing Jesus to do more in and through us than we could ask or think. As you would imagine, we are already hearing powerful stories of His provision. As people have given and pledged (at times beyond what they can see or explain) God has come through with resources they didn’t see coming. That’s not to say we’re in it to get something out of it, it’s just to affirm that you can’t out-give God. I firmly believe that when we position our hearts for generosity toward the things of God we will be amazed at how resources funnel towards us in ways we never expected…resources we can redirect to their Source for His purposes throughout the earth. In the end, we are aiming for a massive PCC movement (why wouldn’t we? ), a local church which leaves the largest eternal imprint possible for His glory! But, I’m always reminded that God is not glorified nor impressed by our strength (or lack of it). He can do with a few what we can’t do with a multitude. And He can do in a day what we can’t accomplish in a lifetime. We are confident that inHis time He will make PCC a church that makes Him happy and touches the people of the world. For now, we will focus on being sure and solid as we follow Him…and we’ll try to not be in too big of a self-made hurry. “They are the shoot I have planted, the work of my hands, for the display of my splendor. The least of you will become a thousand, the smallest a mighty nation. Happy to be a little leader of this little tribe.